If you’ve been following my writing on this site lately, you’ll have read about how I’ve turned some of the negativity I’ve faced for being a geek to my advantage—last time, I talked about the silver linings of spending a lot of time by myself. But as cool as all that may be, probably the most important thing I’ve learned about being a geek is this: being a marginalized group, empathy and compassion in our community is hugely important. I don’t necessarily expect that you, the reader, have had the same kind of experiences or upbringing I did. We’ve all led different lives over the years. Yet despite that, you can probably relate at least somewhat—maybe your parents didn’t understand your geekdom either, even if they acted differently than mine did. And much in the same way, if I were to learn about your unique experience, I’d likely be able to empathize with your situation in some form or another. As a matter of fact, it’s an interesting concept that sometimes a less-than-stellar upbringing or experience allows one to look back and use the experience to empathize with others. Why is this important? Because as geeks, we’re generally accustomed to being marginalized simply for being geeks. Of course, there are also those situations that I’ve never lived through and can barely imagine; that’s where compassion comes in. 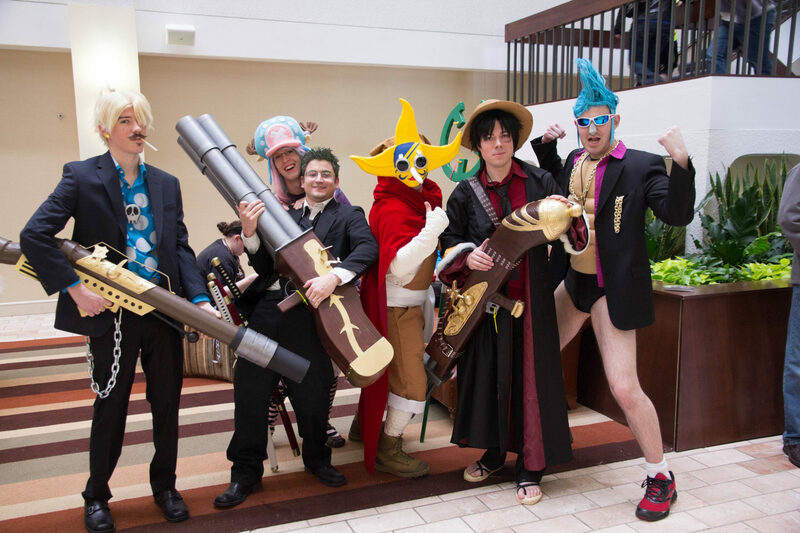 At my first convention, AniMinneapolis 2014, I watched a documentary titled Cosplay with Kindness, which featured English anime-dub voice actor and DJ Greg Ayres. The documentary shed some light on the teasing, bullying, and harassment against cosplayers both outside and inside the geek community. That documentary and the panel that went along with it changed my outlook on cons and the geek community forever and shattered any misconceptions I had of cons at that point. Until then, I had viewed conventions as the very thing that I, as a loner geek at the time, needed: a space in which I could walk alongside and interact with my people. They were a safe space and an escape from the repetitive monotony and sameness of the “normal” outside world. To me, a convention was all sunshine and rainbows, as cliché as that may be. But upon seeing that documentary, hearing Greg Ayres speak about his firsthand experience, and witnessing it, I felt this fire light up inside of me. I didn’t want to be someone who was jaded and cynical and critical of people within the community—I didn’t want to be that guy. But I also had to ask myself, what exactly could I do to not be that guy? Especially as someone who had never cosplayed before in my life at that point, what could I do? I had to stop and think, and I was blanking on what to do. I couldn’t figure out a way to show compassion to a community that so often didn’t have compassion shown to them in the outside world. So I looked around. Upon seeing someone dressed as a mobile cosplay-repair kit, I was inspired: I swore that next con I went to, I was going to be a cosplay-repair guy. And that’s exactly what I did. At Meta Con 2014, I debuted my then-new outfit in beta-test form, the Asian Redneck Cosplay Repair Guy. I’ve since made a lot of improvement to the name and appearance of that outfit since then. I cannot fully understand the lifestyle and upbringing of every single person I meet, especially as someone who interacts with many people at conventions as the Cosplay Repair Guy. But what I can do is give them my A-game and demonstrate to them that even if we’re not the same person with the same experiences, we’re all geeks. We can stand together and band together. I can help them in as many ways as I can, both as someone who would fix their cosplay and as a geeky person outside of the con. And I saw that compassion goes both ways—I began to see how geeks would stand by each other, like fellow soldiers in battle. Even when toxic members of the community lash out or do something atrocious, the majority who aren’t toxic band together to put a stop to it. There was a unity built upon empathy, compassion, and common interests that I never realized existed before. Compassion allows geeks with different life experiences to befriend each other and walk through life together. Empathy allows one geek to identify with the pain and struggles of another geek. Heck, it allows geeks to demonstrate an understanding of the struggles and problems of the “normies” of the world. Much in the same way, you as the reader probably understand how painful it was for me to use the term “normies” in a sentence. The long and short of it is that my experiences as a whole have taught me how to give back to the community and figure out ways to advocate for it. My experiences have also taught me that even though I’m not the same as every other geek, we have a common bond that allows us to stand together. And that stems by the acceptance, compassion, and empathy that the community as a whole generally demonstrates. Does the community have its moments? Of course; not everyone is 100 percent accepting, compassionate, or empathetic 100 percent of the time. But we are still a community, and in some form or another, we should take care of each other. I think a key is not to assume my life experience trumps others that are different from mine and gives me the right to judge others. Fandom encompasses the whole spectrum of life experiences and we should respect/ realize that.